Welcome to First Class Heating & Air, your premier heating and cooling experts! Our commitment to your satisfaction equates to your peace of mind. Your heating, ventilation and air conditioning systems (otherwise known as HVAC) are important for your comfort all year long. When winter and summer extremes in temperature hit, the last thing you want to be without is your furnace or air conditioning system. Not only does your indoor air quality affect your comfort but it can also affect your health. Allergies, long term health issues, respiratory issues and dangerous carbon monoxide build ups can be consequences of malfunctioning, dirty systems. Your comfort and safety is important to us. When that comfort and safety is at risk, that is when the professionals at First Class Heating & Air come in. We know how much our customers rely on their temperature control systems during the hottest and coldest days of the year. We are available 24/7 for all your emergency repair needs. When you call our office and one of technicians comes to serve you, we treat your home like our own. We never take your time for granted and will always leave your home as clean as we found it. Our technicians are professionally trained and directed to deliver exceptional service with every call they make. That is our promise to you. Great service at a reasonable price. From your air conditioning, to your furnace, to your hot water heater, to your gas fireplace, the professionals at First Class Heating & Air have your needs in mind. We have grown into one of the leading installation and service experts in the Toronto, Mississauga and Scarborough areas because of our dedicated, satisfied customers. We are committed to staying the #1 choice in customer satisfaction year after year. We also strive to bringing the newest and most comprehensive technology to our customers. 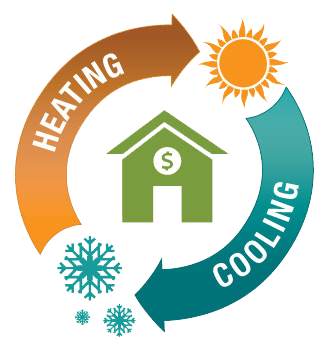 We realize your heating and cooling systems are large investments so we want you to have the best to choose from. When your furnace goes out during the coldest day of the year or your air conditioning goes out during a hot spell, you need a company that can provide emergency service fast. Trust that First Class Heating & Air will be available 24 hours a day, 7 days a week with professionals that can offer quick diagnosis and superb service. If your furnace or air conditioning system is older, it may be time to consider a replacement with a more efficient system. There are many things to consider when deciding on repair vs. replacement. Long term operating and utility costs and dependability of the older units are considerations. The professionals at First Class Heating & Air will answer all your questions and assist you with making a cost comparison. If you require installation of a new heating or cooling system, we offer a huge inventory and factory trained technicians. We always recommend scheduling seasonal maintenance for your air conditioning and heating systems. If you are looking for preventive maintenance in order to keep emergency repairs at a minimum, we would be glad to get you on the schedule. Proper maintenance can extend the life of your system, improve function and reduce running costs which in turn can reduce your energy bill. Good maintenance of such a large investment makes sense and we will conduct a comprehensive inspection and cleaning of your air conditioner and furnace. 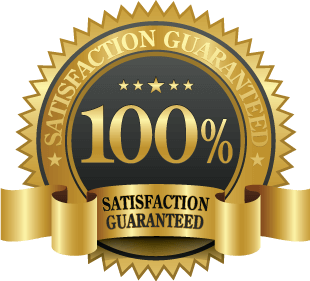 Whether you have contacted us for emergency service and repair, seasonal preventive maintenance or a complete installation of a new temperature control system, we offer our guarantee of the most exceptional customer service in the industry. We strive for your total satisfaction. Every one of our technicians is unsurpassed when it comes to customer service and expertise. We at First Class Heating & Air want to be your experts of choice in the Toronto, Mississauga and Scarborough area. Call us today and see how we can make a difference in your personal comfort and home safety.